Special circumstances, including key pathways and case studies. 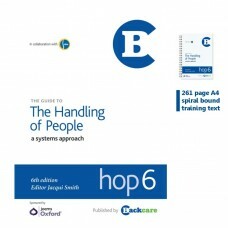 HOP6 is widely endorsed by organisations including the Royal College of Nursing, the Chartered Society of Physiotherapy, the College of Occupational Therapists and the Health and Safety Executive. The mission of this new 6th edition is to set out a person-centred systems approach, which balances the twin aims of (patient / person) safety, dignity and enablement with the prevention and management of work relevant MSDs in health and social care workers.